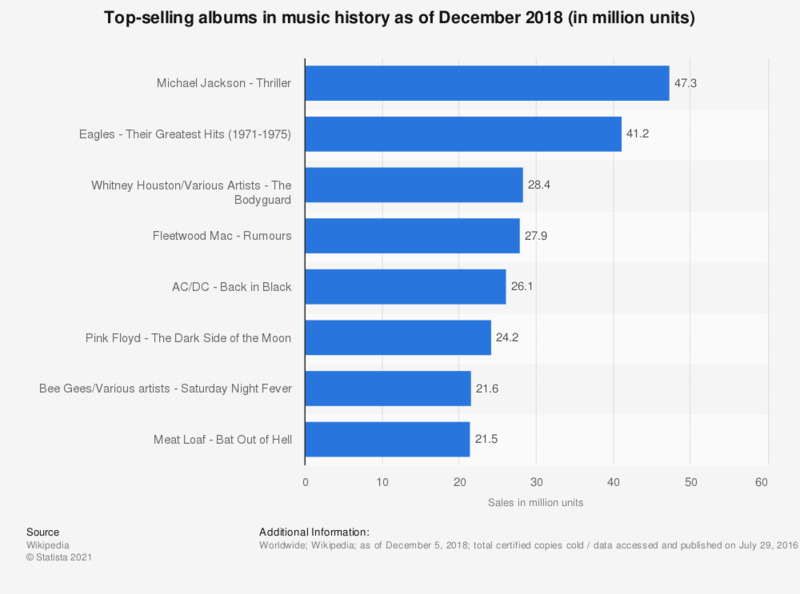 This statistic presents unit sales data of the bestselling albums in music history as of December 2018. Ranked first is Michael Jackson's album "Thriller", which was released in 1982 and as of December 2018 sold 47.3 million copies. Second in the ranking was the group Eagles, with 41.2 million units of the 'Their Greatest Hits (1971-1975) sold.